Model T Ford Forum: 1907 Kingston ad, used on Fords? 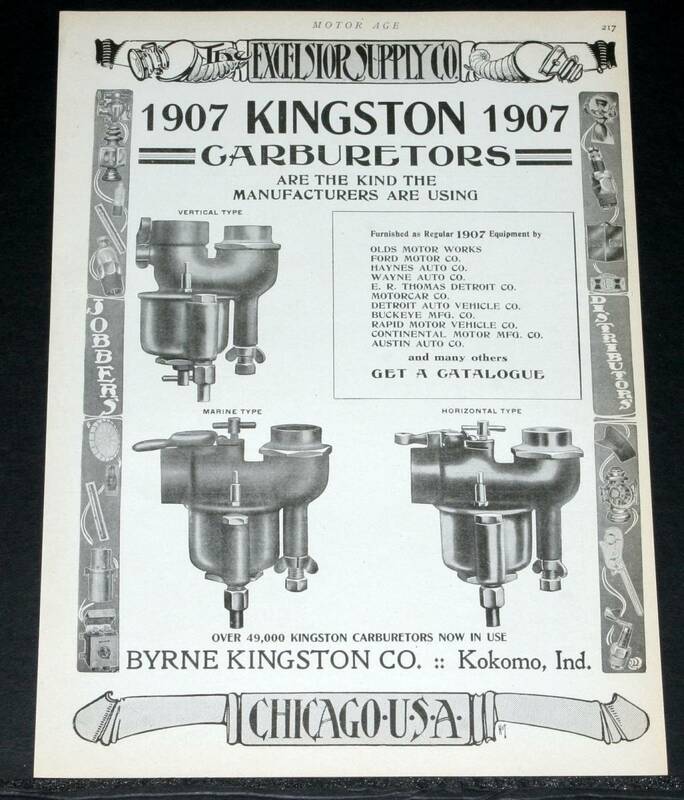 1907 Kingston ad, used on Fords? Model T Ford Forum: Forum 2014: 1907 Kingston ad, used on Fords? 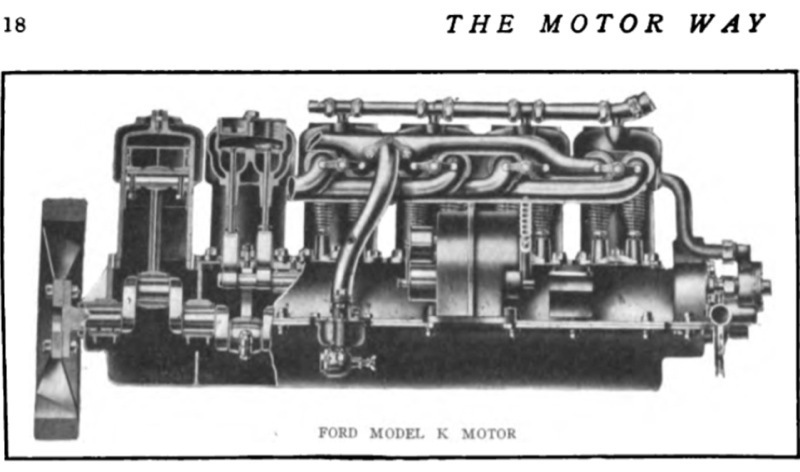 I didn't know Ford used a Kingston in 1907? Look around the sides of the ad at the products they sold. I guess that was the Excelsior supply co. 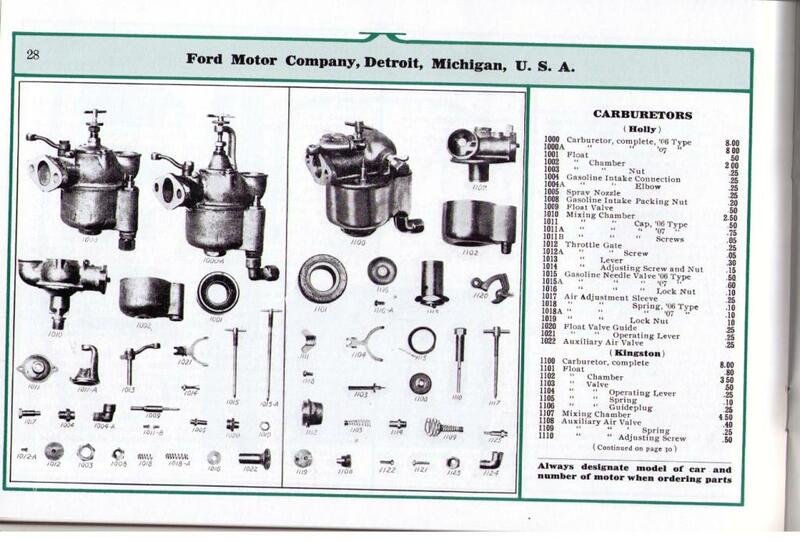 Yes, Ford used Kingston as well as Holley in 1907 see page 28 of the 1907 N, R, and S Price List of Parts and some instructions... [Note the S Roadster was not listed yet -- that came out in 1908.] In the 1908 Price List of Parts they list the Holley as 1906-07 and another 1908. But the Kingston is just listed. So I don't know if it was or was not used into the 1908 year. Do you have the date of the "Motor Age" magazine? Thank you for posting this ad. I own a Holley like the one pictured in Haps submission above, however I have never tried it on the Model N. Both my N and SR. are running Holley Model Ws, and this carb seems to give acceptable service. The Model N starts very easily on this Holley. However, If you really want to make a Model N roar, try an NH on it. Mothers is a substantial improvement in power. If you have a Model N equipped with an NH, you really don't have a need for a speedster. It would be redundant.